The majority of cases of OVI/DUI do not go to trial, for a variety of reasons. Generally the prosecutors will offer a plea bargain at some point during the process in the hopes that they can resolve the matter quickly rather than go through the time and expense of a trial. Remember the plea deal is not a dismissal of charges, but rather a compromise in exchange for leniency. Sound confusing? Here are a few things you need to know about plea bargaining in a DUI case in Fairfield County. Plea-bargaining is an incentive presented by the State to secure a guilty plea from the defendant, with the expectation of leniency from the State. To reiterate it is not a dismissal of the charges, but can generally be used to reduce the charges to eliminate jail time, large fines, or license suspensions. It is important to remember that only the prosecutor can present a plea deal. Plea bargains can come in different shapes and sizes. The most common types of deals are 1) pleading guilty to a less-serious offense than you are charged with, 2) dismissing one charge against you in exchange for a guilty plea to another charge, or 3) agreeing to a sentence not involving a large fine or license suspension. Again, these are the most common, but it is best to seek legal counsel to help guide you through the different types of plea deals. It is important to have a skilled and experienced OVI/DUI attorney with you whenever you speak to the prosecutor. Remember, prosecutors can offer a plea bargain during the pretrial process, and can even offer a deal on the day of the trial before the Judge calls the court to order. A skilled OVI/DUI attorney will advise you on when it is best to accept a deal, and if the merits of your case would support a more lenient plea deal. One benefit to securing a plea deal is to plead to a lesser offense, like reckless driving. This will serve to keep a DUI/OVI off your records, but will not be an outright dismissal. A well-trained Fairfield County OVI lawyer can help you navigate your defense of an OVI/DUI, and perhaps make the plea bargain unnecessary. It is important to examine all aspects of the case and explore other options before signing a plea deal that brings the case to a close with limited ability to appeal. Make sure the plea deal is in writing before you agree to the terms. If you verbally discuss a plea deal with a prosecuting attorney, it is imperative it is committed to writing before you can move forward. The next step of your plea deal is presenting the agreement to the judge. If you hear terms that are different than the ones to which you agreed, you are well within your rights to ask to withdraw your plea and review the newly mentioned terms with your OVU/DUI attorney. You can make a deal the day of the trial, but do not sign any documentation until you see the arresting officer. Many times, the arresting officer will not be present in the court room, which will likely lead to a judge dismissing the case. Always ask if the arresting officer is going to be present before agreeing to any plea agreement the day of trial. Again, having a Fairfield county OVI/DUI lawyer will help you navigate these plea bargain challenges. 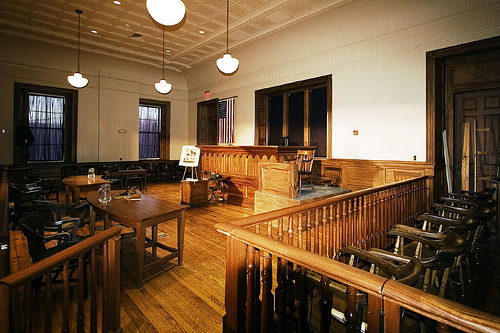 The Fairfield County court system is similar to those in the surrounding counties, but it is important that you have a competent Fairfield County OVI attorney who is familiar with the locations and the judges in the county court system. It is important to come prepared and to have a plan in place if the prosecutor does present a plea deal as an option for quickly wrapping up the OVI/DUI proceedings. A DUI/OVI attorney in Columbus, Ohio can effectively advocate for you and potentially have your charges reduced or dismissed. To talk with a skilled OVI attorney for free, contact The Maher Law Firm today at 614-205-2208.